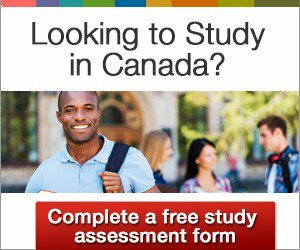 Get a head start on your Canadian study adventure on CanadaVisa.com and CanadaStudyNews.com. The Campbell Cohen network and CanadaVisa.com present a range of free, comprehensive and exclusive tools and resources to help people around the world reach their Canadian study and immigration goals. By using the following tools and resources, you can take advantage of the unparalleled knowledge and experience of the CanadaVisa team. When it comes to studying in Canada, these tools and resources can help you make the right educational decisions and design immigration pathways that make sense. Canada Study News is where every aspect of studying in Canada as an international student is brought into focus. Including the latest news and analysis, as well as exclusive interviews, you can get the free Canada Study Newsletter delivered straight to your email inbox each month. Subscribe to Canada Study News today! 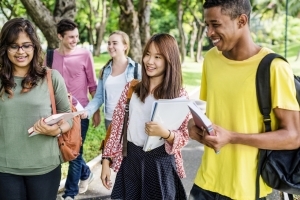 The Study Hub is an online portal designed to help prospective students, current international students and recent graduates on a post-graduation work permit easily navigate Canada’s immigration system. Sign up and check out the wide range of customized tools and resources inside the Study Hub. Members of the Study Hub who are currently on a Study Permit or post-graduation work permit can also apply for the new CanadaVisa Scholarship! Every month, one member will win a scholarship worth $500. Join the CanadaVisa Study Hub now to enter with a chance to win — you're only one step away! Join the Study Hub today! The CanadaVisa School Search helps you find the Canadian academic destination best suited to your needs. Use our School Search to get started on your pathway to a quality college or university in Canada. SchoolMatch Canada provides you with a FREE personalized report to show which Canadian schools match your expectations, personality and goals. Using research-based advanced algorithms, SchoolMatch Canada has helped thousands of students find the right education institution in Canada.